Louis Timmers constructed with Eltim Elite 621 mk IV a speaker with high quality loudspeaker chassis: Morel dome tweeter ET338-104. 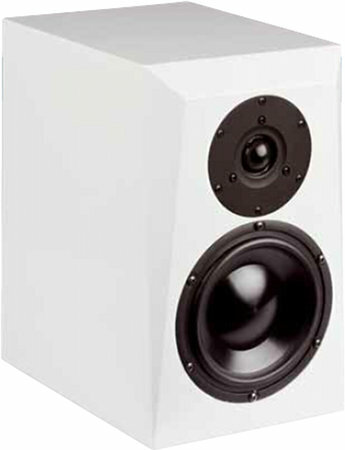 This dome tweeter is the replacement of the Morel MDT-33. As woofer the ECW638 is used, which is equipped with a 3-inch voice coil and neodymium magnet. A bass reflex enclosure is used, its bass reflex opening radiates to the back. Elite 621 has a crossover with high-pass filter and low-pass filter in series (the speakers and its circuits are in series). A crossover in series is not completely new; it is difficult to calculate and to handle. Therefore most crossovers are build as crossover in parallel. Our Kit with high end crossover provides high-quality ClarityCap film capacitors. Mundorf baked varnish coils are used as a coil.